An original design by Alan Phillips Snooker. Short of space or odd shaped room? Alan Phillips Snooker has the answer. 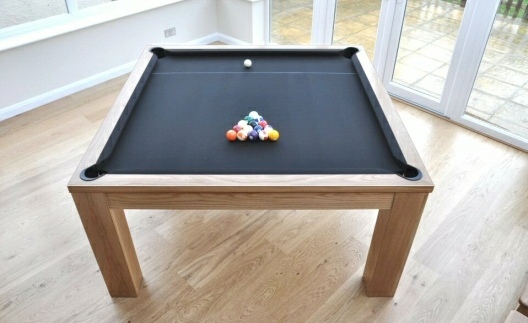 The all new Square Pool Table. 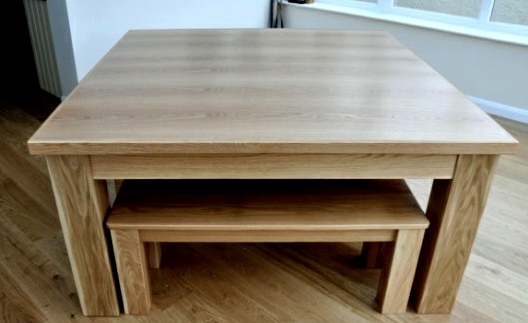 Available with optional extras of bespoke diner top, or matching stools or benches to suit your preferences. Ideal in the office or workplace for both presentations and social pleasure. A square table offers a more functional and convivial dining arrangement, particularly where space is restricted. The all new Square Pool Table. Made to order by Alan Phillips Snooker in the size and colour of your choice. Square Pool Table shown with single piece veneered oak top and matching benches stored underneath.